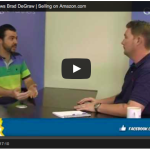 Denver Entrepreneur Travis Luther and guest Spencer Reedy discuss David Bowie’s contributions to entrepreneurship, social capital, and when is the right time to advertise on Facebook.com. Learn more and follow Travis at travisluther.com. 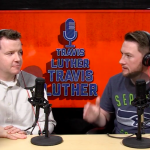 Travis Luther Travis Luther Entrepreneurship Podcast – Ep. 1 from Law Father on Vimeo. 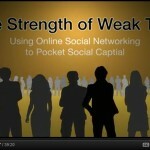 Below is a video titled “The Strength of Weak Ties: Using Online Social Networking to Pocket Social Capital.” It is a video of a presentation I gave to a group of lawyers related to online social networking and accumulating social capital. While the presentation is addressed to attorneys, the themes, terminology, and instructions are applicable to almost any individual and business. The general theme of the presentation is that by expanding one’s social network, one can improve the quantity and quality of information that comes into that network. This new information can be extremely valuable to our businesses because it can generate new leads and new ideas – as well as keep us better informed as to what is new or emerging within our industries. Once we understand what social capital is and the role it can play in our businesses, we can formulate a strategy that takes advantage of online social networks as an additional way to accumulate social capital. If you find the information within this video to be important and valuable, please share it with your friends and acquaintances via the social networking links below. Thanks!